Augusta - Second-ranked Dustin Johnson admits he's frustrated and disappointed to only have one major golf victory, but sees plenty of time to boost his career total, starting at this week's Masters. "I would have definitely liked to have won a couple more. 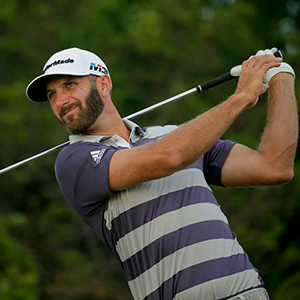 I've had some very good opportunities that I didn't capitalize on," Johnson said Tuesday. "Disappointed or frustrated, one of those would be OK to describe that. But I mean, it's golf. This game's very frustrating and disappointing at times. "But I think I'm happy with my career so far. I definitely think it could have been better. But I've still got hopefully still got a lot of time left in my career." "I definitely look back at it a lot," Johnson said. "I've got videos of my swing from when I was here in 2017, and so I watch those a lot to try to just get some of those same feels. "I feel like the game, it's close. It's not as good as it was then, but I feel like it's going in the right direction." "I feel like the game is in very good form right now," Johnson said. For me, it's all going to be up to my putting. I think if I can roll it well, I'll be right there come Sunday." "It's more want. If you're telling yourself you need to win, I think you're putting a lot of pressure on yourself," Johnson said. "Everyone that's out here wants to win. I want to win every week but I don't need to win. You put more pressure on yourself if you're saying you need to win. "I've definitely done that, almost trying too hard. I think I do that quite a bit sometimes."